Who wants chocolate? I do I do! As you already know, I have quite the sweet tooth! Hence why I have brought on the help of the fitbit and Nike+ to make sure I am getting my steps in daily! I was on Newbury street yesterday, and I came across the cutest place to get coffee, tea, hot cocoa and homemade chocolates. 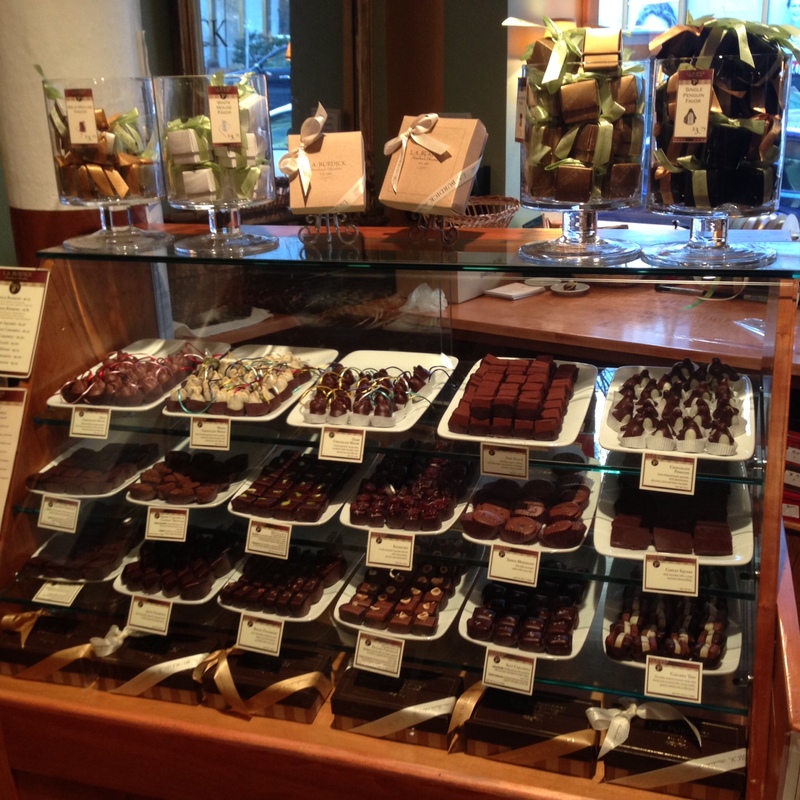 I was in chocolate heaven! It’s called L.A Burdick and you can’t miss it. Lots of small tables inside to have your afternoon tea or coffee. It reminds me a little like Paris! 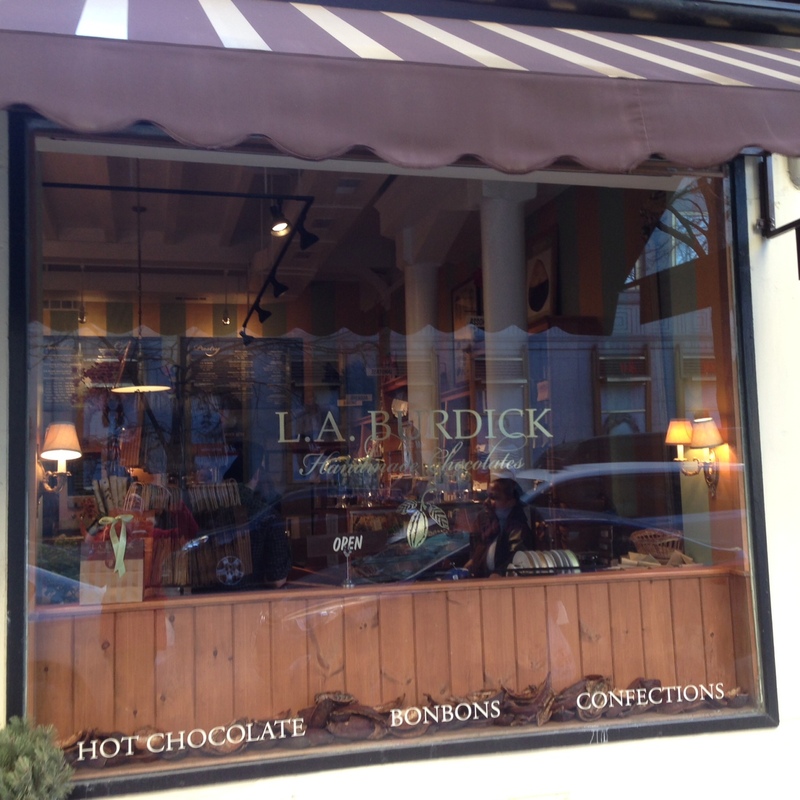 Next time you are out and about on Newbury street stop in! 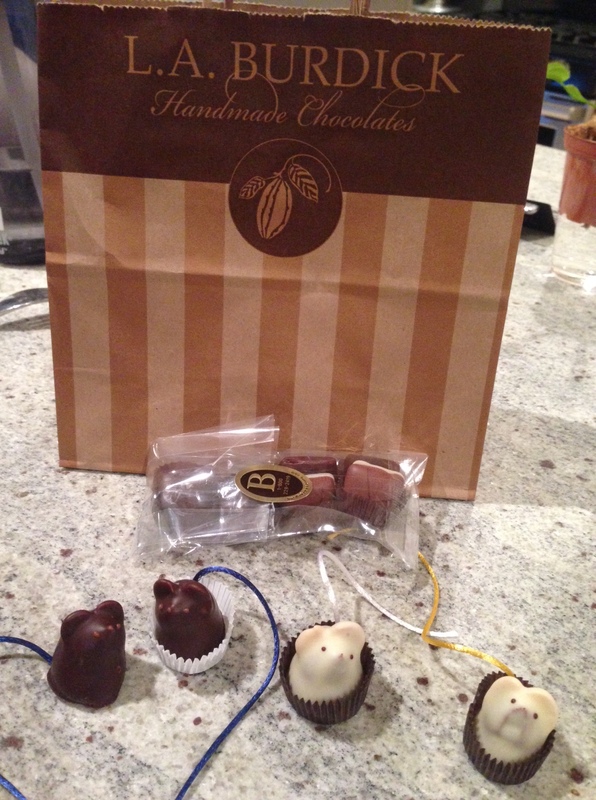 And, I also wanted to share the chocolate mice we bought. They even have little tails!